I never believed in things such as ‘love at first sight’, but when I first saw the Fender FA-235E, I immediately fell in love with it. I didn’t know it was possible to fall in love with a guitar, but the FA-235E made me realize that you can. I love everything about it, especially the design. It has a flamed maple top which looks very attractive, even to those who have never seen a guitar before. Fender mostly makes dreadnoughts, but the FA-235E has a concert body shape and its entire body is fully-laminated. 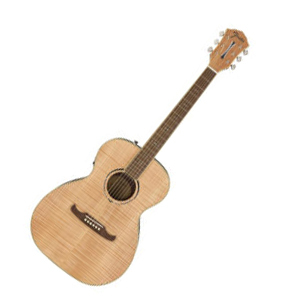 The back and the sides of this acoustic-electric guitar are made of laminated mahogany, and it has a nato neck which is very comfortable to hold. The fretboard along with the bridge is made of rosewood, and if you’ve been a follower of GuitarSquid, you know how much i love rosewood fretboards. This guitar is available in 3 color options: The Moonlight Burst, 3-Tone Sunburst, and the classic natural finish. All of them look great, but I personally love the moonlight burst on the Fender FA-235E. Since this is an acoustic-electric guitar, it has onboard controls such as volume, bass and treble. This means that you can take it with you when you go to play concerts and gigs, and tune it however you want it to sound. The sound itself is very warm & lively and it’s pretty high in the trebles. It can easily be compared to some of the higher-end guitars available from different brands such as Martin & Gibson. 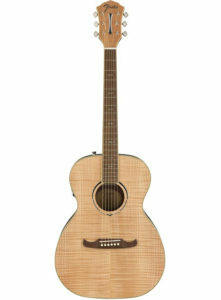 What I love the most about Fender acoustic guitars is that their prices are not astronomical. They always managed to catch my attention with their low-cost products that don’t compromise on a lot of things. I don’t know how they do it, but it’s nice. The Fender FA-235E is a guitar that can be used in your whole guitar playing career. You can buy this guitar if you’re a beginner, and you can use it even when you become a professional because it can serve all player types well. This guitar is not a guitar that would be suitable for people that are not dedicated. It’s a really valuable instrument and it should be treated as such. If you’re planning to buy an acoustic guitar just to play while you have some free time, you should look for some other Fender models, because they are more affordable and more suitable for beginners. I would recommend this guitar only to those who really know how to evaluate an acoustic guitar and know its worth. 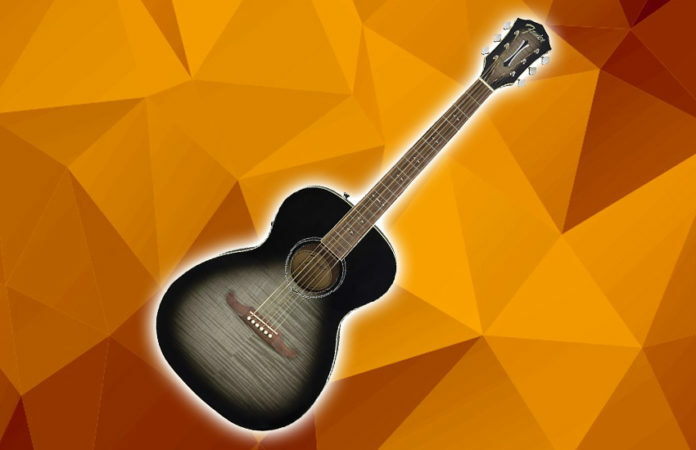 If you are a beginner and plan to get an acoustic guitar that will become your friend in the road to become a professional guitar player, then definitely go with the FA-235E, because it has everything you might want from a mid-range acoustic guitar.